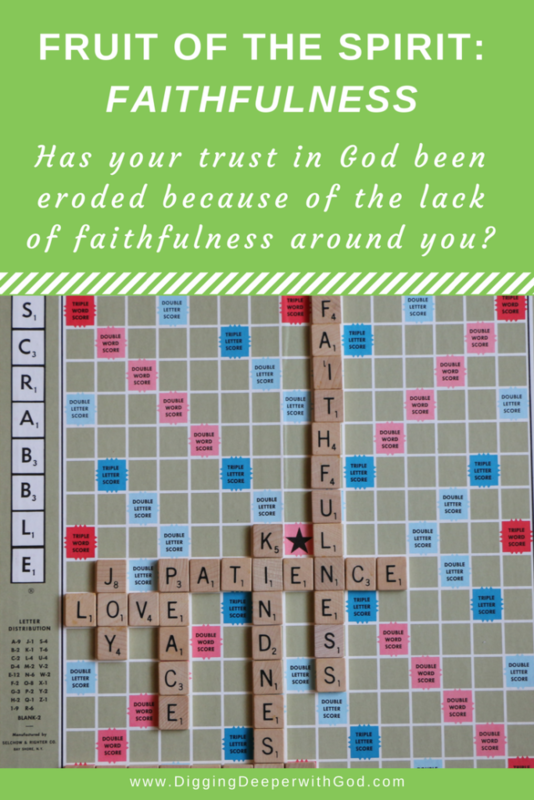 Inside: Has your trust in God been eroded because of the lack of faithfulness around you? Encouragement to help you regain your trust in God and to share the fruit of the Spirit faithfulness with others. A friend breaks a deeply personal confidence. A contractor doesn’t complete the home repair that was agreed on. A coworker fails to come through with what he promised he would do. A spouse snubs the marriage covenant. How could they not keep their promises? How could they hurt us in this way? Bit by bit, a splinter here and a fissure there, our confidence erodes. The breakdown in faithfulness leads to disintegrated trust. So we guard our inner thoughts from our once-close friend, we choose a different contractor but only after triple checking references, and we protect our hurting heart, wary of the very people God gave in covenant to us. In reaction to the fractured faithfulness around us, our trust in God’s goodness fades, and our security of who we are in him evaporates. We project our tangible experiences with people in this world onto a God who by his very nature will not break a promise. Is God Really All that Faithful? What if God had brought the Israelites out of slavery in Egypt and then had abandoned them in the wilderness? No cloud by day or fire by night. No parting of the Red Sea once the Egyptians charged after them! As Joshua led the people into the Promised Land, what if God had abandoned Moses’ successor and left him to take Jericho on his own? Thank goodness that isn’t the story line! And it simply won’t be, because it goes against our faithful God’s very nature. Do You Know God’s Faithfulness for Yourself? Where in your life do you need to know this right now: God is for you, not against you (Romans 8:31). He loves you with an everlasting love (Jeremiah 31:3). Jesus will be with you always (Matthew 28:20), and nothing can separate you from his love (Romans 8:38-39). If you know Jesus as your Savior, these are such familiar promises to you that they sound cliche. But they are not trite little sayings. They are deep-down truths that you can trust! Unlike our friends, coworkers, and spouses, God has not broken his promises. 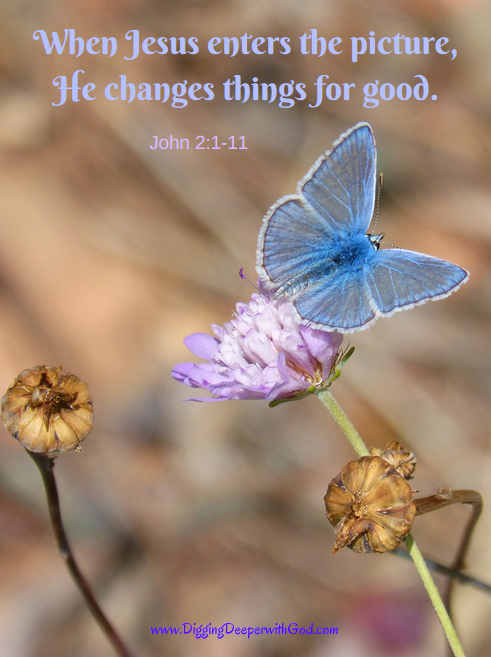 He has remained faithful! In fact, when Jesus returns, do you know what he will be called? Faithful and True! Look it up in Revelation 19:11. So when life throws a curve ball, instead of wondering if God will be faithful, you can lean on him, rely on him, and know that the same God who parted the Red Sea and went to the cross is with you in whatever trial you are facing. 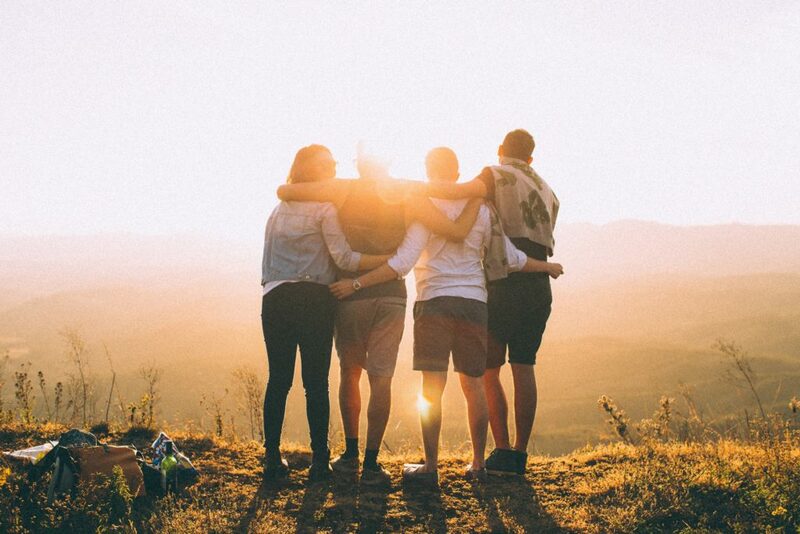 Let’s be people of faithfulness–faithful friends, faithful coworkers, faithful spouses–shining the fruit of the Spirit of faithfulness into other people’s lives. How can you show the fruit of the Spirit of faithfulness to people around you today? Reflect on or journal about the following questions, listening for what God has to say to you about the fruit of the Spirit of faithfulness. 1. In what ways have you not shown the fruit of the Spirit of faithfulness? Spend some quiet time confessing those failings to God, resolving to turn, and seeking God’s forgiveness, which he is faithful to give. 2. Look up each of the Bible passages mentioned in the following paragraph, and journal or pray about each one, thanking God for keeping his promises. God is for you, not against you (Romans 8:31). He loves you with an everlasting love (Jeremiah 31:3). Jesus will be with you always (Matthew 28:20), and nothing can separate you from his love (Romans 8:38-39). Bonus points if you look up Revelation 19:11! 3. Our world desperately needs faithfulness, the kind that can only come from the Holy Spirit. Imagine a world of completely faithful friends, coworkers, and spouses. It sounds idyllic, doesn’t it? As you have worked through this devotion, has God prompted you to show faithfulness in any area? Ask the Holy Spirit to flow through you in that way, as only he can accomplish. Let these songs encourage you to know God’s faithfulness and to consider how you might show Jesus’ faithfulness to others. Jesus (Chris Tomlin) He stands in the fire beside you! When All Is Said and Done (Geoff Moore & the Distance) This song will inspire you to live a life faithful to God and others! 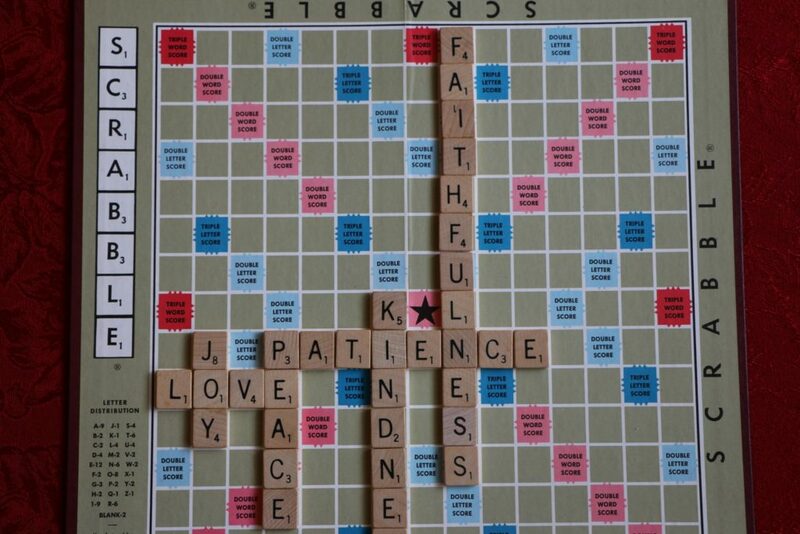 Fruit of the Spirit FAITHFULNESS!